The idea for this painting comes from old rural schoolhouses that once dotted the backroads of America. One can still find a few of them, at country road intersections, and often turned into small country homes. 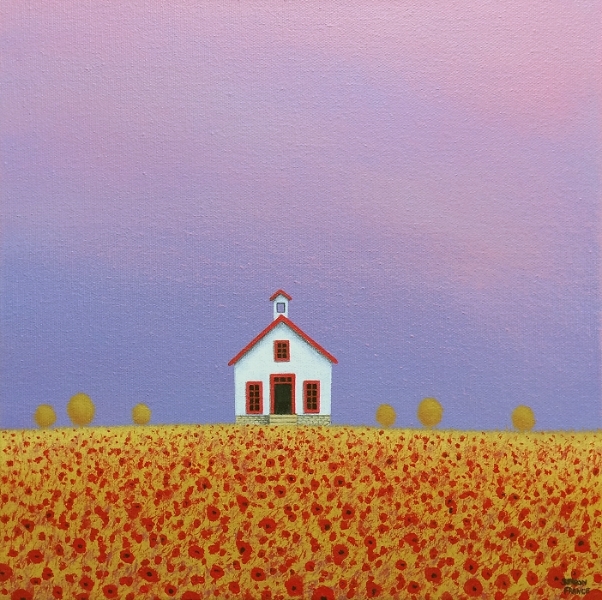 I painted this old school house in a quiet field of poppies. The painting continues around the edges of the gallery-wrapped canvas. It is wired and ready to hang.